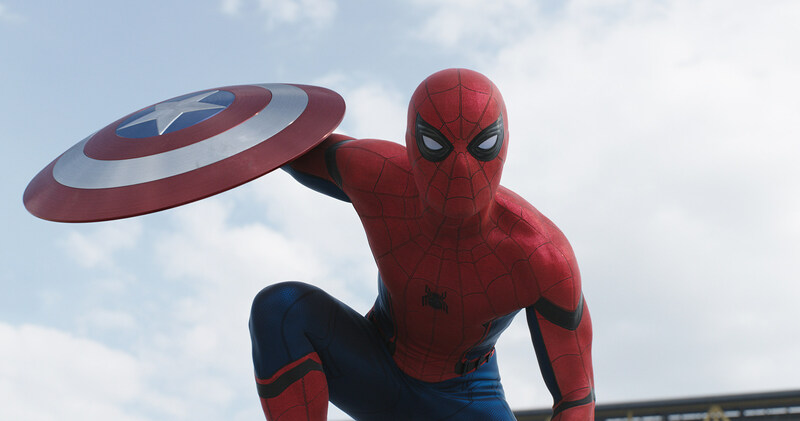 ‘Captain America: Civil War’ Trailer Breakdown: Spider-Man, Secrets and Screenshots! 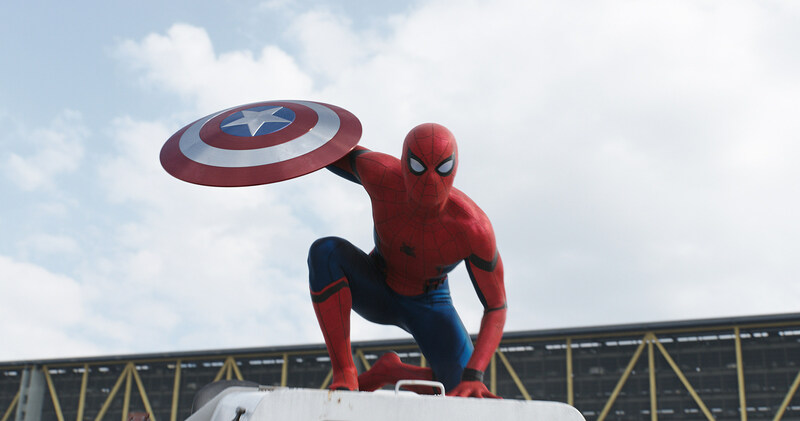 OK, we all know that Spider-Man made his big debut in the Captain America: Civil War trailer. That was certainly the big takeaway, but it was far from the only takeaway. We went through the new Civil War trailer with a fine-toothed comb to see what other Marvel secrets we could dig up. The trailer opens with a shot of the snowy mountains and what would appear to be an underground bunker. A man with a Russian army patch on his arm unlocks a vault. Gen. Ross (William Hurt) sits down Captain America, Falcon and Scarlet Witch and shows them footage of the Chitauri Attack, the Fall of S.H.I.E.L.D. and Sokovia, explaining, “Captain, people are afraid.” From there we cut to an attack on a United Nations building where T’Challa is in attendance in civilian clothes. “That’s why I’m here,” says Iron Man as he deploys from a helicopter, presumably into the U.N. wreckage sporting the new Mark XLVI armor built after the damage his last suit took in Age of Ultron. Next we see Tony Stark, looking bruised, and standing among a group of cells inside The Raft. Who are these cells for? Presumably for supervillains, but what about superheroes who are not in compliance with the Sokovia Accord? After the familiar “punch you in your perfect teeth” line, we see Black Panther, on foot, giving chase to Winter Soldier, on a motorcycle, and catching him from behind with his claws. What we’ll learn is that T’Challa blames The Winter Soldier for the attack on Wakanda, though Bucky proclaims his innocence and insists he was framed. “The safest hands our still our own,” as we again see the shot of Winter Soldier and Tony Stark grappling and Tony only saving himself with his Iron Man gauntlet which stops a point blank bullet from Bucky’s gun. In another shot, Bucky takes a sniper rifle, aims it at the sky and hits War Machine right in his arc reactor (though if we’re being honest, it looks like two different shots stitched together). Rhodey looks like he’s in serious trouble, but is he actually dead? Iron Man is pissed and says to someone (off-screen), “I was wrong about you. The whole world was wrong about you.” He would seemingly be talking to Winter Soldier towards the end of the film as he realizes that Bucky was innocent. Here the action picks up considerably with some shots similar to what we’ve seen from the previous trailer. Soldiers arrive outside the IFID (Institute for Infectious Diseases) in a van with Crossbones about to exit out the back. Black Widow takes a few of them down with a jumping kick. Captain America says to Iron Man, “This doesn’t have to end in a fight, Tony” to which Iron Man promptly backhands him across the room. But, hold on, let’s stop right there. In the background appears to be another chamber of some sort with someone inside. Is this the same one as the beginning, and is that the Winter Soldier inside? And what does this have to do with Baron Zemo, the actual villain of the film who we have still yet to see in any capacity? “You just started a war.” Iron Man gets angry as Captain America gets blow up. Here’s a great shot of Black Panther and Winter Soldier going at it on a rooftop. T’Challa is coming at him with his vibranium claws when a helicopter arrives and starts firing on Panther from above. But those bullets just bounce right off. Marvel fans will have some fun with this. Scarlet Witch coming into her own with her powers and using them against…Vision! While their relationship in the films hasn’t been fully established, in the comics, Wanda and Vision were married and would later have two children, Thomas and William. Speaking of things Marvel fans will enjoy, the shot that people have been clammoring for ever since Civil War was announced. Hawkeye and Ant-Man. It doesn’t play out exactly like the classic cartoon version, but it looks as if he’s been fired onto Iron Man’s suit where he will proceed to wreak havoc from the inside. Crossbones drops a serious jackhammer punch on Cap, sending him flying. And then a very nice call back to the original Captain America from when Steve stood up to one of the neighborhood bullies. Which leads to our climactic shot of Team Cap vs. Team Iron Man at a German airport. Then it was Underoos Spider-Man’s turn to (finally) arrive, stealing Cap’s shield and sticking his hands together with webbing. Here are two hi-res shots of Spider-Man’s big moment for you to enjoy. Source: ‘Captain America: Civil War’ Trailer Breakdown: Spider-Man, Secrets and Screenshots!